Relax in our newly renovated country home. See moose and deer walking in the surrounding woods. Grab your fishing pole and take a 5 min walk down to the Connecticut River to fish for brown trout or rainbow. Go hicking, boating, birdwatching. ATV and Snowmobile from your front door! for children under 12 to use at will. House property as does the snowmobile trail. 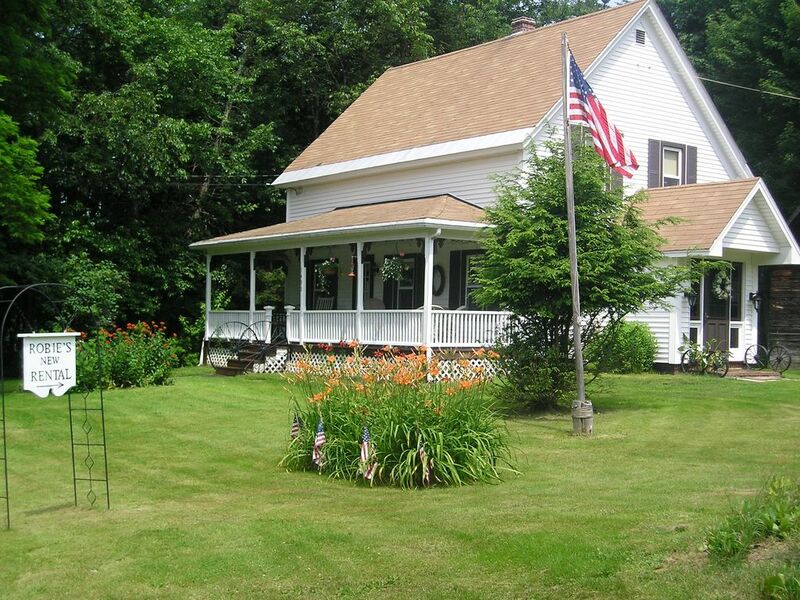 You can access both the ATV & Snowmobile trail from this house!! Canada. Montreal, Quebec is only 120 miles from Pittsburg. LONGER OR FOR LARGE GROUPS THAT AREN'T STAYING A FULL WEEK! The Luther House was built by my great aunt and uncle - John & Jesse Luther. After purchasing the house we completely renovated the whole house. It is extra clean and very comfortable! Our family has always loved this house. It was sold 3 times since it was built. We had the opportunity the buy this home and we jumped at the chance. We are very proud of this house and know you will appreciate it when you see it. The large country kitchen is lovely and the exposed antique beams in the living room is an extra feature. If you are looking for a relaxing place to stay that can accommodate 2 to 10 people we have the place. We have access to ATV & Snowmobile trails. The Connecticut River is across the street. Bring your passports and enjoy a trip to Canada (Beecher Falls, Vt. port of entry only 8 miles away). all linens are provided, as much as you need. lovely old fashioned porch with wrought iron dining set and wicker furniture. Ceiling of porch is dimly lighted w/tiny white lights and grapevine. Makes a wonderful astomophere especially for warm summer evenings. Respected the house and left it in great shape. Ira is welcome back anytime. Excellent from every aspect of the stay. are more than welcome to come back anytime. We were not sure what to expect upon our arrival, the previous review were right. Clean, safe and very home like. We were greeted by Helen and Pete who are very nice. Pete took the time to show us the house and the damper on the wood stove. He also offered to keep the stove going while we were out riding our snowmobiles. The house is very clean and well kept. Linens and kitchen as well. A short drive to several restaurants and stores. We will definitely be back again. The deer in the back yard eating in the am are awesome to watch so close. Thanks Pete, I am sure they appreciate the food you supply. The owners were very welcoming and hospitable. The house was just as advertised slept 10 people with no problem. The house was very well furnished all we needed to bring whatever food everything else was there. I would definitely recommend this place to anybody with a large group or small group. The next time I am up that way I will definitely stay with these folks again. very respectful and left the house in excellent condition. You are all welcome to come back anytime. Connecticut River within walking distance. Lake Francis 1 1/2 miles, 1st., 2nd., 3rd., 4th., & Back Lake within 20 mile radius. of the Mississippi River. There are over 1,000 miles of ATV trails and the best snowmobile trails in the north east! The Luther House has access to both trails. VISIT 3 states (Me, Vt. & N.H.) and 1 country in 1 day?! In Dec.
thru April see deer and turtkeys in the Luther House back yard. Come and relax in our home in the Great North Woods! Bringing dogs has to be cleared with the home owner first. All dogs must not be left alone in the house unless kenneled. If we except your Dog there is a $10. A night extra charge.